Have you ever lost your phone and worried so much to get it back? If not, at least block your SIM and device from being misused. Well, there are dozens of Android apps to help you with this cause. However it is tough to decide which one is legitimate and useful, as most of the apps are free and developed by anonymous providers. 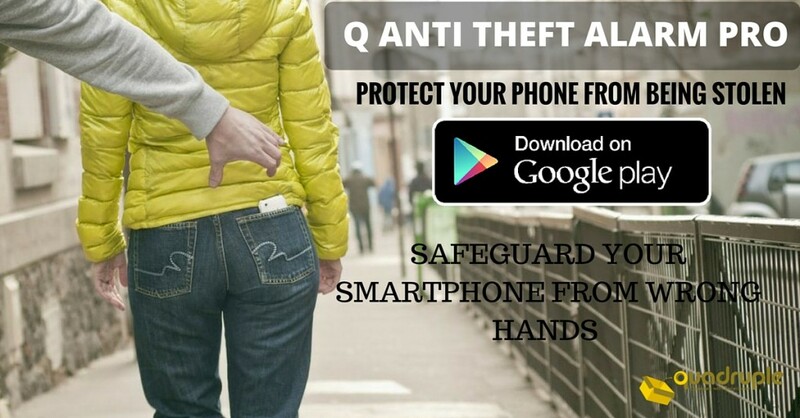 Here is a list of the top recommendations of Anti Theft Android Apps that comes handy during emergencies. Cerberus is one of the must-to-know names in the Anti Theft category. It is considered the most reliable free app with tons of features that will help you to find your lost or stolen phone. Some of its features include standard location tracking, remote wiping and locking. One interesting feature is the ability of the app to go stealth (hiding the app from your app drawer so ppl won’t know where the alarm is from). The app automatically enables GPS as soon as it detects an anonymous activity so that you can find your device location online. The app is worth a shot. Prey is one of the first-found apps in Anti Theft App category. Through years many other apps have been developed in the same category making the former to fall off the ladder. 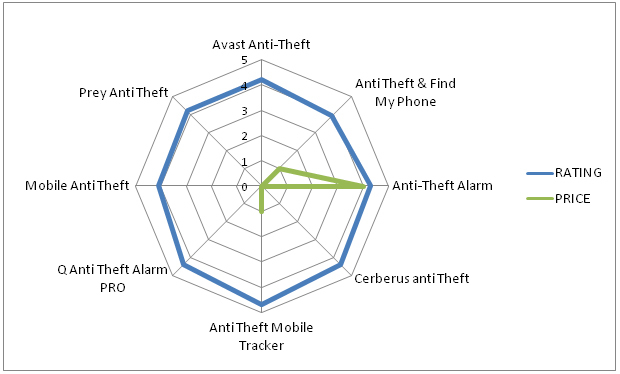 However it still proves useful with some features such as location tracking, remote locking, and triggering alarms. For security reasons it also prevents the app from being uninstalled. In the Pro version of the app, there are features to track unlimited number of devices. If you have an android wear, your best choice is Find My Phone to search your device as soon as it gets lost. With this app installed in your device, it is almost impossible to break connection with your device anywhere it travels. Some exclusive features include remote alarm triggering the phone to ring from your PC, the ability to turn LED camera flash ON and OFF and many more. This is one of the best app you can find for your Android wear. Where’s my Droid works okay in its free version where you can set alarms, find the phone, a special feature to generate a GPS location even on low battery, and various management features. The app also provides a black and white list to manage who can use the app over SMS. However in paid version, you get remote wiping, remote locking, hide the app icon, and you can use a landline to activate the app. It is worth the price it demands. Avast being the famous name for Antivirus category finds its way into Anti theft apps. The app works fine in its free version which comes with standard features such as location tracking, alarms, and remote locking and wiping. The app detects whenever SIM card is changed and goes into stealth mode ASAP. The premium features also comes with an affordable price not failing its users. A product of Quadruple India, the app is a premium version of the same is pretty much a compilation of all high security features in android market. Some standard features include instant SMS alerts which contain info such as IMEI no, last seen location of your phone, automatic SIM change identification and many others. Premium features allows charger alert notification, a useful feature for public transport to avoid theft when you put your device in charge. It costs only one dollar for all its features and is definitely worth giving a shot. So here is the SUM UP! use the app with most features in it and less in weight too. 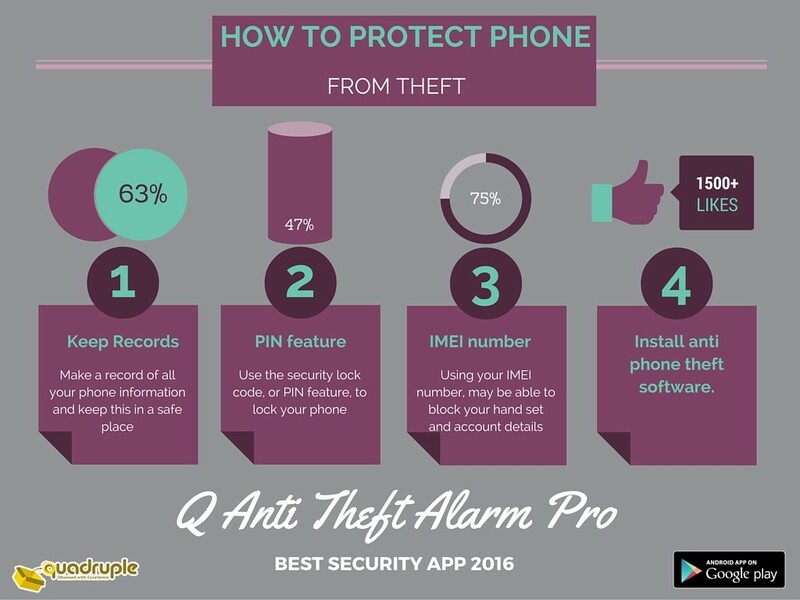 Q Anti theft Alarm Pro is best suited in that case, affordable price with simple UI and lightweight app. The fact is that there really isn’t an easy way to track down a phone that’s already been stolen or lost and that’s why you should install one of these before you lose your Smartphone and then the panic won’t be so bad next time.